Is The Smell Of BOPP Packing Tape Jumbo Roll Toxic? Tape is often used for some packaging and packaging work. Some tapes give off a pungent glue. Is this taste toxic? 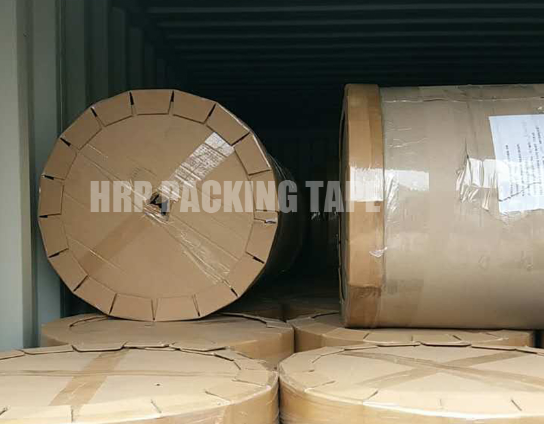 BOPP Packing Tape Jumbo Roll is made of adhesive and film. It has the taste of glue or glue additive. It has very little poison, but it generally does not affect the user. Many tape manufacturers can wear masks without any mask. Some people use the tape to break between them when they use the tape. They have never heard of such poisoning. It can be seen that the smell of high-quality scotch tape is almost negligible, and it is harmless to the human body; generally we have to look at it. What kind of tape is there, there is no ROHS mark on the tape packaging, but now it is basically environmentally friendly. Only the tape manufacturer uses the inferior glue to reduce the cost, so the smell is big. If it is a special sealing tape, it will come normally. Said to be non-toxic. Previous: Is Self Adhesive Tape Jumbo Roll The Thicker The Better? Next: What Is The Glue On The BOPP Adhesive Tape Jumbo Roll?